Do you have any idea how can configure an SFTP/SCP client (using Mobaxterm, Putty, Winscp or another client) following these steps ? WinSCP supports tunneling though other SSH server natively. 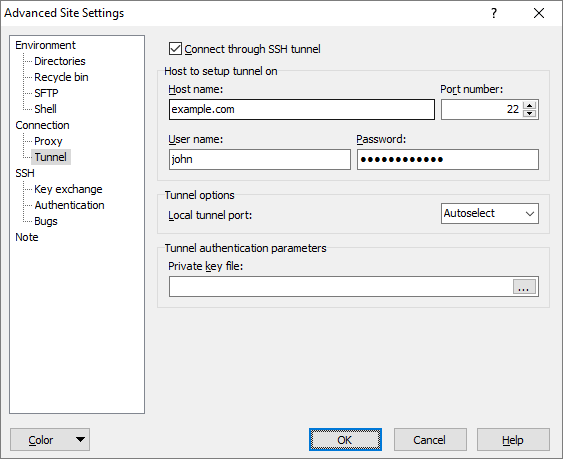 See the Tunnel page of its Advanced site settings dialog. For other clients, you can setup the tunnel using PuTTY and connect though it. See my guide for tunneling SFTP/SCP session. Not the answer you're looking for? Browse other questions tagged ssh sftp gateway or ask your own question.